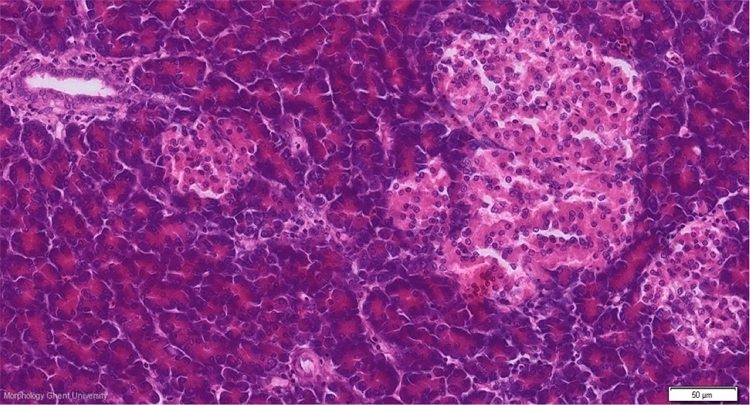 The islets of Langerhans (insulae pancreaticae) of the endocrine pancreas are most abundant in the splenic lobe. They can be divided in A-islets and B-islets which contain different cell types. In chickens, also 'mixed' islands occur.